Are you tired of paying too much money for data bundles? and you use an MTK Android device(Tecno, Infinix, wiko , Gionee...) then today is your lucky day because I plan on teaching you a trick through which you can get unlimited amount of data by changing your Android imeiif you are smart enough and my guess is "You are quite smart, right?" With this trick you can kiss buying data plans goodbye, truth be told I haven't bought a single data plan for months now and I have never for once lacked Data(megabytes). How? You may ask, By tweaking my imei!! By tweaking, I mean changing my imei number. By changing your imei number you are able to enjoy Unlimited data opportunities. In Nigeria, when you purchase an Infinix Hot Note you are entitled to 2015MB from Mtn, If you don't want to buy the device but you also want to enjoy the 2015mb, all you have to do is change the IMEI Number of your phone to that of an Infinix Hot Noteand then you Send the assigned command and you will get the 2015MB. 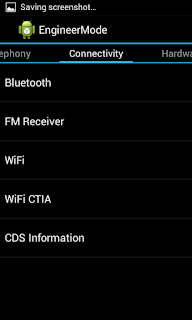 IMEI means International Mobile-Station Equipment Identity. Every mobile phone and modem have a unique 15-digit Imei Number, It's just like finger prints of a phone. No two phones have the same Imei Number, but phones of the same brand usually having the same starting sequence. 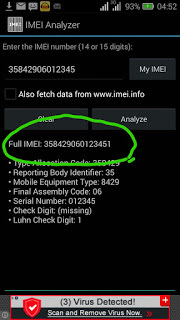 E.g - All Infinix hot note imei start with 358429063 that is what I call the identification number. So when you change your imei number to something like "3584290630360721" and send the command. When Mtn or any other telecom company which we plan to trick sees the identification number which is "358429063" they assume you use a hot not and you are given your data. The imei is a very delicate number so you can't just randomly generate numbers and tweak 'em you have to first analyse it. Let me use the infinix hot noteexample again. "358429063" the first nine digits of an imei number are the legit numbers the rest can be tweaked but do not change the first nine digits. After getting the first nine, you randomly add any 5 numbers. So we have 14 digits now. "35842906312345" remaining one more number. This last number is called the "check digit" so it cannot be randomly added. If you do, you'll end up having a bogus imei number that doesn't work. After you've gotten the full imei, write it down, close imei Analyser and open MTK engineering mode. 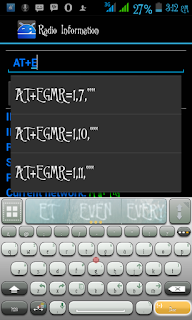 press E on your keypad it will drop down some options, for sim 1 select AT+EGMR =1,7,""
After that put the new imei between the "" like this AT+EGMR=1,7,"358429063123457"
Then put a space in between AT and + so it appears like this AT +EGMR=1,7,"358429063123457"
A message should pop up saying "At command is msent". After that toggle your phones's airplane mode on then off.